This last week, my 16 month old daughter has been going through an “I don’t want to eat that, even though I’ve ate it before” stage. I am unsure if it’s just a picky phase, or if it has to do with her teething. She still only has the top 4 and bottom 4 teeth in currently, and I think she’s been dealing with molar pain since she’ll smack her ear when any sort of teething is about to occur. I have heard they start appearing anywhere from 14 months on up, so it’s probably about that time for us. DOH! She did spike a fever at one point. AND I know Dr’s say it’s a coincidence, but from our experience, it seems to go hand-in-hand with teething. So my guess is we’re dealing with molars, even though I haven’t felt the little buggers pop through yet. I do try to relieve her pain by following the steps below. Make some frozen yogurt popsicles! Nothing is better on the teeth than ice cold, yummy goodness to help numb those sensitive gums. These are both super easy and healthy for your toddler who may not be able to eat solid foods because the gums are swollen and sore. Get some Hyland’s teething tablets. There’s Hyland’s chamomilla 30x or just regular teething tablets. Both work wonders on relieving pain in little babies. When my daughter is in pain, she likes chewing on anything and everything, which included daddy’s leather wallet that we just recently replaced for his birthday. These heavy duty toddler chew toys should do the trick of occupying all the while providing some relief. We do have an amber teething necklace, but I am not sure if or how well it works. But she’s had it on since 6 months and we haven’t really dealt with bad teething episodes or crankiness. Is it contributed to the oil in the amber? I have no idea. I thought I would put that as an option since you’ll see her wearing one in most all of her photos. 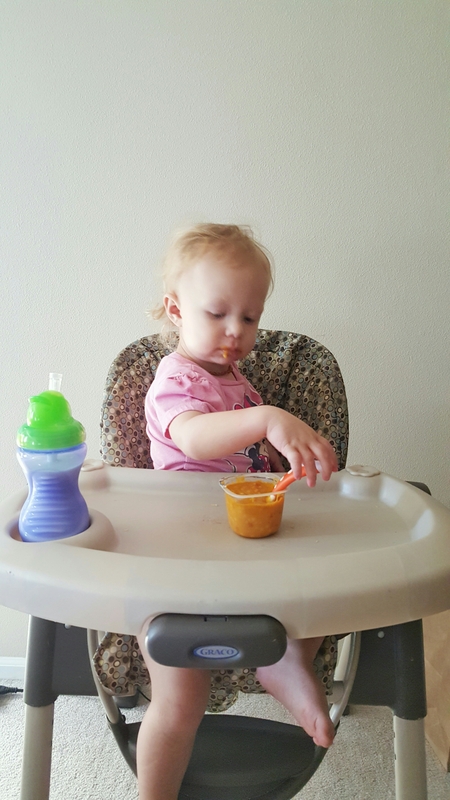 Feed foods that are puree, but still give them the sense they’re eating real foods like Gerber Lil’ Bits which contain soft pieces of fruit or vegetables. 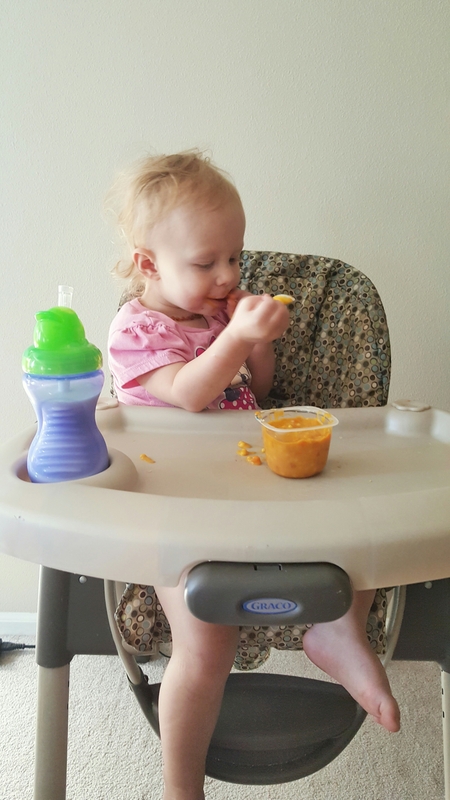 My daughter is a big fan of mac and cheese, so we tried the Gerber Lil Bits Mac & Cheese out first. They’re perfect for not only teething toddlers, but for babies who are just starting to transition to some solid foods. Gerber Lil bits teaches your little ones the chewing motion and provide different textures and flavors to get baby used to real meals. 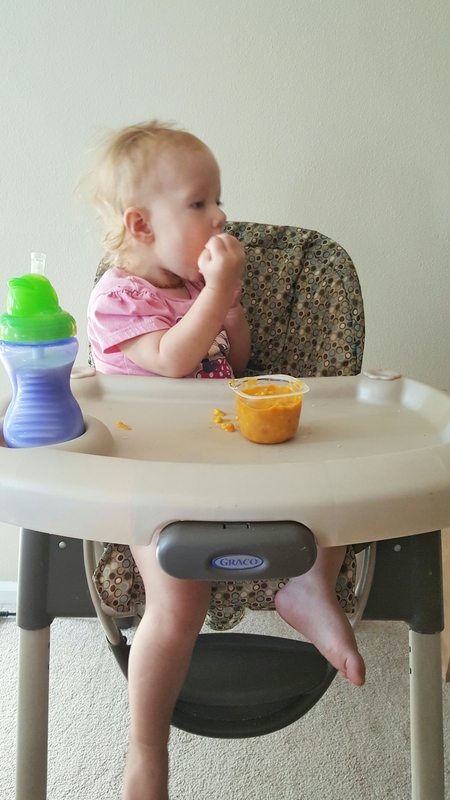 As you can see, she had no issues eating Gerber Lil Bits Mac & Cheese dinner. You just take the plastic lid off, then the foil, put lid back on and then plop it into the microwave for 20 seconds. Enough to get it warm. But if your child is in real distress over molar and/or canine teething pain, give them a dose of ibuprofen or acetaminophen if the above hasn’t seemed to help. 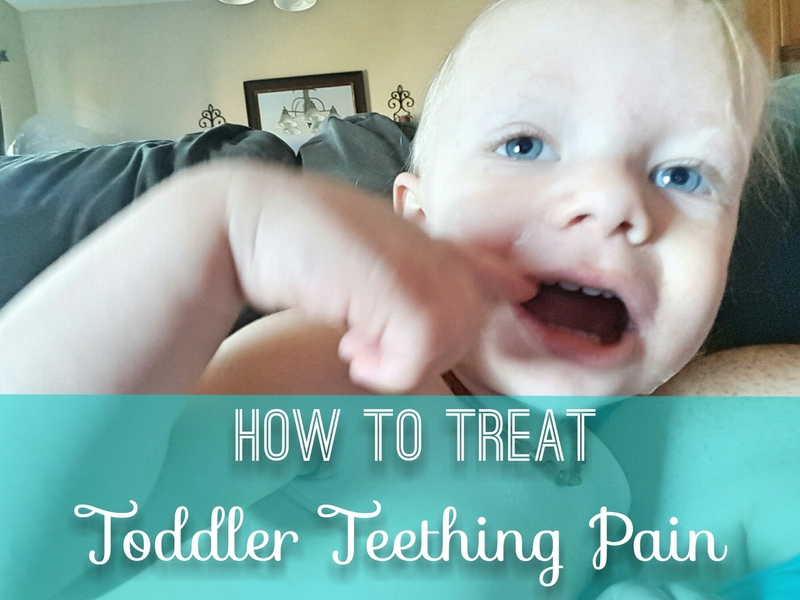 Do you have any other toddler teething tips that weren’t mentioned here? 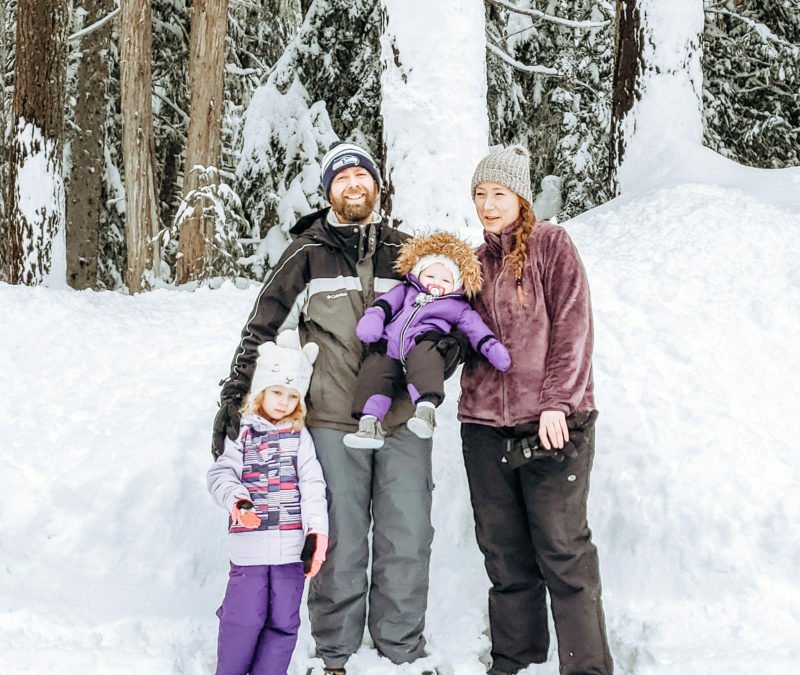 I think I recently saw Jen from Pretty Neat Living talking about some of the tools she uses for her daughter. I wonder if anyone uses the old school put a wet washcloth in the freezer routine? I remember that is what we used, along with teething rings. Cindy Ingalls recently posted…New! Mally Beauty Shadow Sticks Extra! We have Sophie the giraffe which always seemed to help but frozen teething rings gave even more relief. Teething is never easy! I remember when the twins had to go through this, they were extremely moody and they definitely needed an outlet, be it a toy that they can bite or food that will make them feel better. I’m glad you found solutions that works for your child! These are all great ideas. I use to use frozen wash clothes. There are so many great ways to help with teething! Sorry that your little one is going through it, some kids really get very high fevers which is super scary! Teething pain is the worst. I remember when my son got his two-year molars. I had to give him motrin and rub a tiny bit of tylenol directly on the gums. Plus, he enjoyed chewing on cold teething rings. Oh, this is a nice read. My grandson experiencing teething, will share this with my daughter. I remember my son when he was teething. I can’t imagine his pains, good thing it can be manageable. This is a nice article, I think my son is teething. He’s complaining about it for a week now. My son loves munching on ice pops. Aside from treating the teething pains, he loves the taste! I just gave my son chew toys back then. Wish I had known about the tablets. Great tips! My youngest recently got his 2 year old molars in. We had to mush up his food and give him cold stuff to help with the pain. I’ve been babysitting my grandson on and off for the past 9 months and his teething phase makes him so cranky. He finds relief when I rub his ear. He is having feeding issues and we worry he won’t get enough nutrition. I worry when its time for his molars to pop out. When that time comes, I’m telling my daughter to get him Gerber Lil bits. Oh I remember these days. They weren’t fun at all. I wish I would have known these tips when my daughters were little and going through this. Oh my this is giving me flashbacks of all the pain my kids went through when they were teething. We froze toys, medicine and everything. Good tips. When my daughter was teething many many years ago we use to give her a frozen super pretzel to chew on. It was larger enough for her to hold easily on her own and stayed frozen for awhile to help comfort her. Hylands was a life saver for us. My son was so grumpy when he was teething. Some good stuff here even for long time moms, since teething’s just a phase but you never really get used to it. 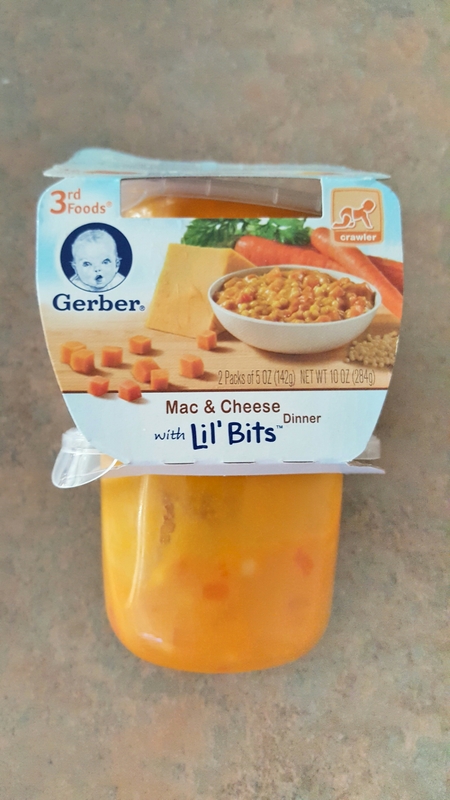 I didn’t know Gerber had a good mac and cheese option there, time to recommend it to my friend for her kid!